New from Arecont Vision Costar, the IP-based megapixel camera manufacturer, are ConteraIP single-sensor cameras. 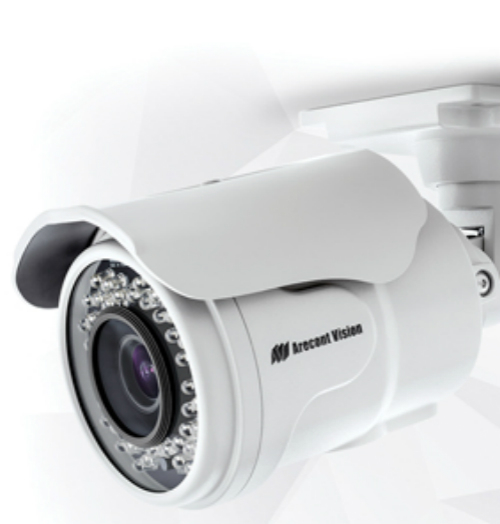 The four new bullet and dome models are part of the Arecont Vision Total Video Solution, of megapixel cameras, video management system, cloud-enabled web services, and video recorders. Single-sensor ConteraIP cameras are now available in indoor or outdoor dome, bullet, and micro bullet configurations, with choice of 2 or 5MP capability across the product line. Both the ConteraIP and MegaIP camera families offer ONVIF compliance and integration with the ConteraVMS (video management software) and dozens of other video management systems through the US company's MegaLab testing and validation. Contera cameras feature H.264 and H.265 codecs, SNAPstream and SNAPstream+ bandwidth reduction, NightView colour low light, and offer Enhanced WDR (wide dynamic range) up to 120db. All models include multi-streaming at full frames per second (fps), de-fog, industry-standard security and network protocol support, and are ONVIF G and S compliant. Most models include Smart IR (infra-red) that adapts to object distance and angle, plus include an SD card slot for onboard storage. Outdoor models are compliant with the IP66 environmental and IK-10 impact resistance standards. Both the ConteraIP and MegaIP camera families support the Arecont Vision API, offer a three-year standard warranty, and support MegaLab integration with 3rd party hardware and software applications that go beyond the ONVIF standards, the makers add.